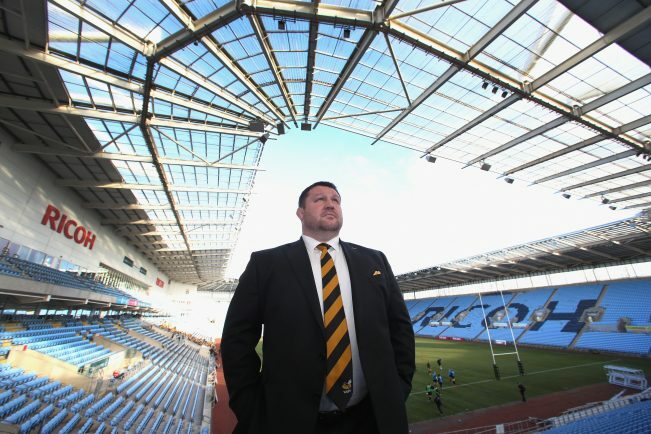 RUGBY UNION: REVENGE will be on the cards when Wasps face Gloucester in the Aviva Premiership, with Dai Young’s side hoping to put right last year’s defeat in Kingsholm this Sunday. Wasps narrowly lost 13-10 away at Gloucester in the same fixture last season but Wasps head into Sunday’s game having lost just one match in seven all season as they sit second in the table. Matt Mullan will captain the side from the front row, where he is joined by Phil Swainston and Tommy Taylor, who returns to the club from England camp. Packing down behind them will be Matt Symons and Kearnan Myall, while James Gaskell again lines up in the back row, alongside Thomas Young and Guy Thompson. Dan Robson and Danny Cipriani form the half back partnership, with Jimmy Gopperth and Kyle Eastmond combining in midfield. Rob Miller, Christian Wade and Josh Bassett form Wasps’ back three. “I’m sure there’s going to be lots of talk down there about knocking us over on the weekend, like they did last year, and re-igniting their season,” said Young. “They’ve been unlucky in a few games this year and I think their luck is going to change soon, so we’re certainly wary of how good a team they are. “It’s up to us to make sure we enforce our game plan and are accurate if we want to get the win. We were on a really good run when we went to Kingsholm last year, but lost the game and that was probably the one loss in some big games that was the difference between us finishing second or third in the table.